It's springtime and a chestnut mare and her foal are enjoying the freshness of the air and the new green grass in the pasture. This barn is just down the road from my house. 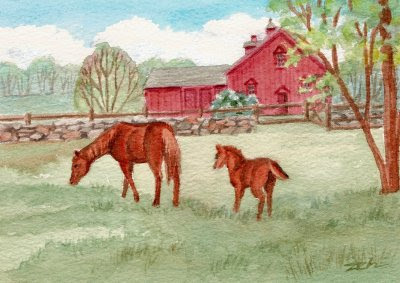 It's been the subject of more than one of my paintings, but I think this springtime scene is my favorite!